When evaluating your particular car for restoration, be sure you have a realistic expectation of the project, your skill level, and your intended use. This assumes that your car will be restored as a weekend driver/ cruise night car and not necessarily for concours competition. Hence, you need to define the level of res­toration you’re willing to take on. This decision also dictates just how far down you intend to take the car when disassembling. Use a ledger or spreadsheet to organize, review, and track the prog­ress of your project. Track the parts you need to buy and the procedures you need to perform, and you can have the entire project broken down into stages. Therefore, it helps you complete a component-group res­toration and reminds you of all the important steps, but also guides you through the entire process. For a spreadsheet, assign col­umns to priority, procedure, parts, projected cost, actual cost, project hours, and projected hours. In the priority column, assign a level of importance to each procedure in the restoration. In many cases, a restorer cannot restore every component or area of a car at once, so assign a level of importance to each task. There­fore, if you cannot afford paint right now, but sometime in the future, you should assign painting a 4. However, say you want a strong daily driver, but the engine is blowing and leaking oil. You did a compres­sion test and most cylinders are way down on compression. As a result, your engine needs to be rebuilt and that is a top priority, so you assign a number 1 to that project. In the procedure, you need to define what you’re restoring on the car, such as patch quarter panel, install new seat covers, rebuild rear differential, and so on. Next, define the parts for the part job, such as seat covers, quar­ter panel, or pinion ring and carrier parts. Once that is accomplished, determine a realistic budget for the parts and the procedures. If you are performing the work yourself, bud­get in the amount of time it will take and you can choose not to pay yourself. If you have someone else subcontracted to perform a proce­dure, such as priming and painting, then you need to allocate a realistic budgeted cost. That budgeted cost should come from an estimate pro­vided by the body shop. Finally, fill out the actual cost and hours of a particular procedure once it’s been completed. In reality, you will find out that the planned budget and schedule are often very different than the actual budget and schedule. Therefore, you may have a what you consider as a realistic budget and time schedule for completing the work, but you build in 15 to 20 percent more time and allocated budget. Why? Because even with the best-laid plans, there’s unforeseen work and circumstances that arise during a complex project. When the time comes to disas­semble your GTO project car, a few basic things must be taken care of before any wrenches start turning and before any mistakes are made. The idea is to plan ahead and make sure that parts coming off the car are not lost, damaged, or otherwise taken out of service. If they are bro­ken or worn, that is one thing. If they are lost or broken because you didn’t properly manage them, that costs you additional time, money, and hassle. The idea of restoring a car should be fun, so make sure that what you are doing is helping that idea along, not hurting it. You need a full set of high-quality hand tools, including a full socket set with 1/4-, 3/8-, and 1/2-inch-drive ratchets. 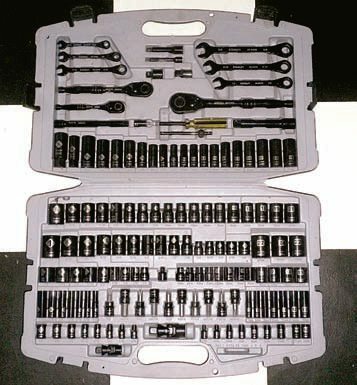 You also need a full set of screwdriv¬ers, prybars, hammers, and a variety of specialty tools that can be rented or borrowed. In addition, use Craftsman, Husky, Rigid, or a similar brand that has a lifetime warranty and a reputa¬tion for high quality. You don’t need professional tools, but if you can afford them, why not? But remember, you’re going to be challenged through the entire restoration process, and cheap tools often do not precisely fit the fasteners and round off nuts, strip off bolt head, and make a mess off a job that otherwise could have been accomplished in far less time. 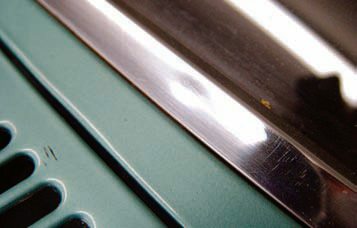 A trim removal tool allows you to safely remove windshield moldings without breaking off the delicate retention tabs. A screwdriver used in this operation pretty much guarantees a damaged part. Photograph every part as you remove it. Tag or catalog each part. Do not mix components from one system with another. Organize and bag smaller system components and fasteners. From the list above, you prob­ably get a pretty good idea of the focus of this chapter. The last thing you need is a bunch of mystery bolts or small pieces rolling around on the garage floor getting lost or dam­aged. The old joke about fixing a car and having extra pieces left over is no joke when it happens to you and you have no idea where those things are supposed to be. The goal of this chapter is to help you prevent these kinds of problems. The location where your restora­tion project takes place should be a clean, secure area that does not get high foot traffic or unwanted atten­tion. Ideally, it should be no smaller than a two-car garage. You need one bay for the car itself and the other for space to organize the removed parts and to do the actual work. The work area should have a bench and/or a sturdy worktable that safely holds heavy castings and other parts. While it is true that people have successfully restored vehicles in smaller spaces and even outdoors, the chances of pieces being lost, damaged, or stolen go up dramati­cally. It is also beneficial to have a storage area for pieces not being worked on. A remote rented storage area can be helpful for storing larger components, though transportation and cost can become a factor. The depth and detail of your project dictate tool purchases. Will you be doing your own bodywork and paint? If not, you can skip the body hammers and spray gun and put those resources toward items you will be using. You do need a quality socket set, screwdrivers, a torque wrench, various hammers and mallets for “massaging” jammed or sticking parts, metal or approved plastic con­tainers for gasoline, oil, anti-freeze and other liquids, and draining pans. 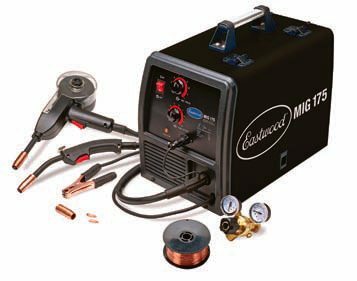 For power tools, a compressor is a wonderful and invaluable tool that saves an immense amount of time with most operations. Pneumatic lines, an air-impact wrench, sockets, and grinding wheels ease the bur­den of disassembly and help speed up assembly procedures. Your shop needs 220-volt electrical service, which may involve some upgrades to your wiring. Some fasteners are torqued with more than 100 ft-lbs and are difficult to remove. A compressor is essential equipment for many of the proce¬dures performed during a restora¬tion. A single-stage air compressor is adequate for many smaller jobs. 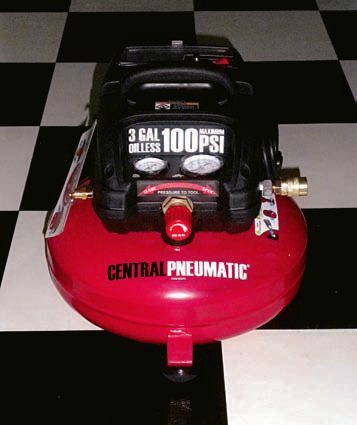 If, however, you’re going to paint, you need a two-stage compressor with a large tank to maintain consistent air pressure for extended periods. It powers air wrenches, grinders, paint sprayers, and countless other items. Take special care when using an air wrench to loosen rusty bolts, as it can easily break off the heads, which is a frustrating and time-consuming operation to correct. Other tools that make life easier include transmission jacks, an engine hoist, an arc welder, and hub pullers of various sizes. These are items that you can purchase, rent, or even bor­row (from friends, relatives, or co-workers) as you need them. Some specialized tools are fairly inexpensive, but greatly assist you in your restoration project. A small assortment of trim-removal tools goes a long way to helping preserve the delicate stainless moldings, as they are often quite fragile and eas­ily break if the clips aren’t properly releasing the parts. The fact that they are expensive and usually hard to find makes purchasing the right tool for the job a high priority. If your project becomes a body-off affair, a rotisserie is a good invest­ment. Having the ability to take a bare body and flip it upside-down for repair and body-panel replacement is a benefit that is well worth the added expense. If you are especially handy and know how to weld, you can build one yourself. There are plans and kits available on the Internet and if you don’t want to spend $1,500 or $2,000 for one, this is a very viable alterna­tive. Just put the phrase “auto rotis­serie kits and plans” in your favorite search engine and find what is best for your project and budget. The initial disassembly is likely to be a straightforward affair, though inevitably, there will be some slow­downs. Perhaps some bolts will strip or round out. Maybe some pieces will be rusted together and refuse to separate. The best way to minimize those troubles is to use the correct tool for the job. That can mean something as simple as using the correct-size screwdriver instead of whatever is close by. In addition, it means using a six-point socket instead of a sloppy, adjustable wrench or a trim tool instead of a screwdriver to remove a delicate windshield molding. Be sure to use a good penetrating oil on rusty bolts (such as exhaust manifold bolts or other engine fasteners), particu­larly if they have been subjected to heating and cooling cycles. Several good products are available at any auto parts store. Some restorers have their own recipes for penetrating oil, using automatic transmission fluid and kerosene. I have had great success with a product called Blaster. I don’t know what the exact formula is, but it has worked better than anything I have used in the past and made easy work of loosening corroded and fro­zen engine fasteners. 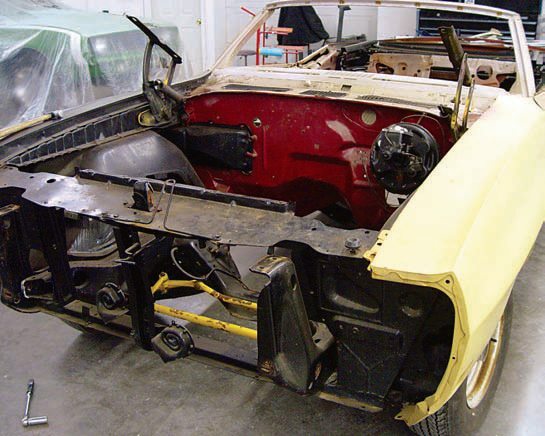 As part of making a specific task list for the restoration process, carefully inspect and evaluate the body. From this list, you can compile a parts list and then develop a cost estimate for completing the restoration project. 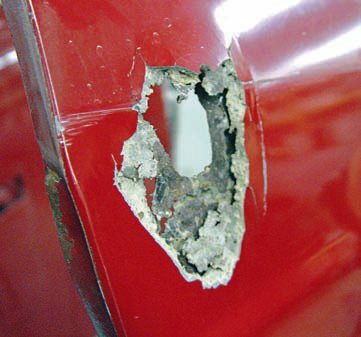 In the case of this 1964 GTO, body filler was used to repair this rust hole, but it was done incorrectly. This time around it will be done the right way, with the addition of a sheet-metal patch. In this particular restoration, it was important to retain as much of the originality of the car as possible, so the original fender was retained and repaired. (Photo Courtesy Scott Tiemann). Successfully finishing a complete GTO restoration is no small task, and when taking on that task, you need to organize and document the entire process. Simply going off memory when disassembling the vehicle and its many components is a recipe for disaster. This book provides detailed instruction and the factory manuals have detailed parts schematics, but you need to document how complex components are disassembled. I strongly recommend that you take extensive notes in a notebook or an Excel file, so that when disassembly commences, the process progresses steadily and smoothly with a minimal amount of hassle. 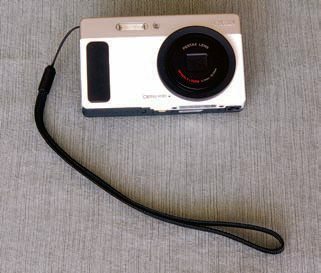 In addition, I also recom¬mend using a digital camera. For a resto job, a small point-and-shoot camera, with both still-photo and video capabilities, is an invaluable aid in the documentation of your restoration. You can even record short movies showing how some of the more complex assemblies go together. These feature-packed little workhorses are in the $150 to $200 range and the quality just keeps getting better. You are sure to find some surprises during the disassembly process. With a car that is 40-plus years old, it is very likely that some areas will be in worse shape than expected. Old colli­sion damage may reveal itself, as well as some substandard repairs. Hidden rust-outs on the inner body structure or frame may be revealed as well. Cracks can also be seen, particularly around engine mounts or suspension mounting points. Also, if your GTO spent time in the rust belt, don’t be surprised if your car has a good deal of body filler. Being from Upstate New York, I have seen many cars that appeared to be straight end up hav­ing substantial amounts of filler in them. The Northeast is full of skilled Bondo sculptors, so bring a magnet. If your car came with a vinyl top, expect a significant amount of corro­sion damage. It is pretty much inevi­table that a vinyl-topped car from that era, GTO or otherwise, will need some rust repair, usually around windshield channels. Unless you are planning on a cor­rect, as-built restoration, my recom­mendation is to remove the vinyl top, store the trim pieces in a safe place, and finish the car with a steel top. Alternately, the car could also be fin­ished as a two-tone, using the vinyl-top trim. If you are going to all the trouble of repairing the roof, welding in new window channel, prepping and painting, why set yourself up for another rust problem later on? It’s true that body-off restora­tions are what you typically see in car magazines and at the large col­lector car auctions. However, your decision to pull the body off the frame and perform a ground-up res­toration should be dictated by the condition of the car, your individual situation, and the intended use not by what everyone else does. Remember, you are the one doing the work (or most of it) and financ­ing the project. You will also be reaping the rewards of your labor, so decide what is best for you and your GTO. If you are restoring the car as a weekend driver, the “neces­sity” level drops considerably. If your car happens to be a rust-free example from the Southwest or is not in need of a significant amount of rust repair and/or weld-in panel replacement, skip separating the body from the frame and refurbish them as a single unit. I have seen cars from California, Nevada, Arizona, and New Mexico with completely worn-out interiors, suspensions, and drivetrains, but they were in com­pletely rust-free condition. One car in particular still had the paper tags on the exhaust system after decades of exposure to the ele­ments. 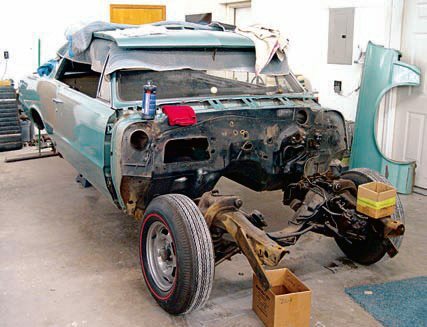 Of course, the paint was fried, the drivetrain was worn, and the interior looked like Godzilla’s play­pen, but every bolt came off with­out damage and the only rust on the entire car was light oxidation where some paint had worn off. With cars in this condition, there really isn’t any reason to pull the body off. 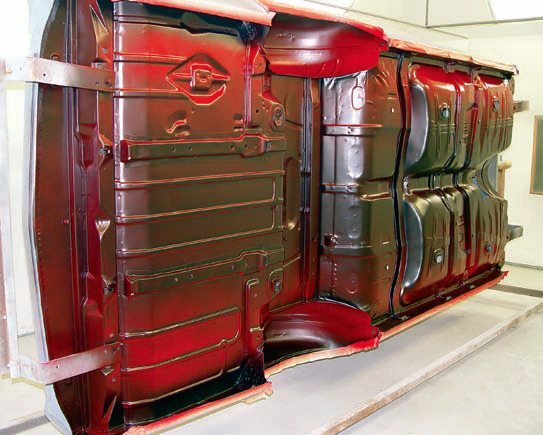 But if you need to replace trunk, floorpans, and quarters, a body-off restoration is the better route, and chances are you will save time with a rotisserie. Fasteners, bolts, and nuts that haven’t moved in 40 years and have been exposed to road salt, grime, grease, and all types of corro¬sion don’t want to move. In many cases, it’s a bat¬tle to remove the body parts, sus¬pension, brakes, and so on. Dur¬ing this process, penetrating oil and WD-40 are your friends, and you use a lot of them. Spray the fasteners 24 hours before you plan to start disas¬sembly. Treat the fasteners just before you start. In cases where heat can be applied, use a propane torch so the threads break their bond and can be removed. A good penetrating oil goes a long way to freeing rusty fasteners and speeding up disassembly. I have had very good luck with Blaster brand penetrating oil, which comes in an aerosol can and can be purchased at most auto parts stores. Focus your restoration for a particular goal. Not all GTOs are created equal, meaning super-rare high-performance GTOs will always be worth more than the run-of-the mill cars. There are many levels of restoration from functional non-original transportation to the 100- point concours car that looks the same as the day it rolled off the showroom floor. Most owners restore a GTO somewhere in between these two extremes. These Goat lovers end up with a highly authentic GTO that’s restored with some original parts, but also with many reproduc­tion parts. In addition, these cars often have updated disc brakes, mod­ern shocks, digital electronic ignition systems, and other bolt-on parts that don’t affect value. Once you develop a goal for your particular restoration, this gives you a clear restoration tar­get to achieve. To arrive at that goal, you define the time, materials, and appropriate parts for restoring your particular GTO. In addition, you are able to develop a realistic budget and invest a wise amount of money in your project and don’t overspend. A rare Ram Air-IV Judge com­mands prices of $75,000 or more, and therefore, most owners want to restore the car to factory-orig­inal condition because it retains its maximum value in that condi­tion. Hence, a car of this pedigree demands professional-caliber body-off restoration if the body needs extensive work. A top professional shop should be enlisted to restore it, especially if it’s going to compete in shows. A novice restorer isn’t capable of restoring a car to 100-point con­cours condition. On the other end of the spec­trum, a common 1969 GTO 400 2-barrel automatic car was built in the thousands and does not have the collector cache as the rare Ram Airs, Tri-Powers, or Judges. As such, this vehicle is the perfect candidate for a first-time restorer because it doesn’t need the highest degree of original­ity, and the restoration shouldn’t come at enormous expense. Critical mistakes with a pedigree car can cost tens of thousands of dollars. With the time, patience, research, and the abil­ity to develop and enhance mechani­cal and bodywork skills, restoring a high-performance and reliable GTO is well within your reach. Your level of restoration also determines the parts you will use for that restoration. If you’re restor­ing a rare Goat to compete on the show car circuit, you must carefully select and use parts that are accepted by the particular organization judg­ing the car. In these cases, many restorers use NOS parts. Finding and buying these parts adds a level of expense and complexity to your restoration. These NOS parts may be three or more times expensive than reproduction parts. If you’re build­ing a daily driver, high-buck NOS parts are simply unnecessary, and therefore high-quality reproduction parts are the wiser choice. But keep in mind that GTOs are different than Mustangs and Camaros. Many repro­duction parts including body, inte­rior, suspension, steering, and other parts, are readily available for the GTO. But some common parts, such as full quarter panels, are currently not offered as reproduction parts. So if your rare pedigree or pedestrian GTO needs full rear quarter panels, you may have to fabricate two panels into one. Once again, that is profes­sional metal-work skill that few bud­ding or beginner restorers possess. As parts come off your car, make notes about their condition. Can they be cleaned, repaired, painted, and re-used or will you have to locate and purchase replacements? Sometimes the decision to repair or replace is not always obvious. If the crankshaft comes out in two pieces, your deci­sion has already been made for you, but it usually isn’t that easy. Try to work with what you have whenever you can, even if it means using some creative methods to save the items. For example, is it better to patch repair the lower section of a front fender or replace it altogether? 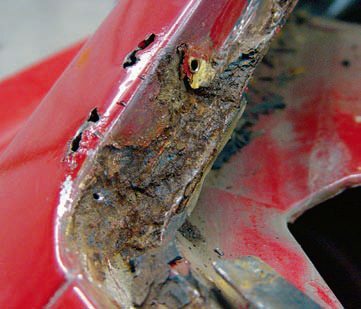 The answer depends on the severity of the rust damage, the overall viabil­ity of the original panel, and the cost to repair versus replacing with a rust-free used piece or a reproduc­tion. If you are handy with a welder, chances are you can save a few bucks by repairing what you have, though the quality of the repair needs to be high enough to ensure the proper appearance and/or function. You may also save some time with body panel alignment by keeping your repaired original fender versus buy­ing a reproduction, though the qual­ity of the repair also plays a role in that operation. Another area where the decision may not be very easy is with trim pieces. As long as you don’t actually break the pieces as you remove them, they can likely be repaired. This is one area where reproduction pieces aren’t going to fit quite as well as originals. While reproduction parts are an option when pieces are miss­ing and unobtainable through used parts channels, they should be used only after all attempts to fix the origi­nals have failed. On the bright side, a professional trim repair shop can effectively repair stainless steel, pot metal, and aluminum trim pieces even those that most restorers might think are beyond saving. 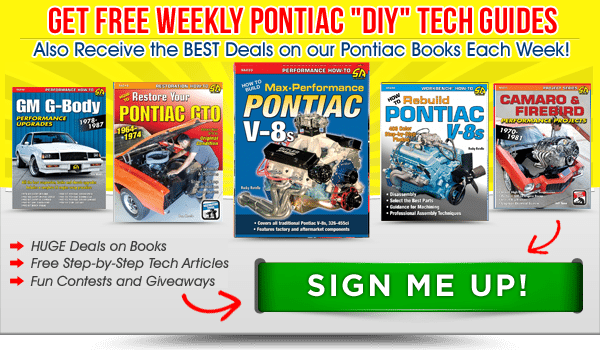 Get on one of the Pontiac-oriented message boards and look for advice on finding a reputable company that provides good results for the money. The truth is, plans change, and sometimes for the better. As you are disassembling your car, you are learn­ing a lot. You may well be learning things you don’t want to know, and the scope of the restoration may end up changing. What may have started out as a repaint and interior freshening may end up as a body-off project if a substantial number of surprises pop up. It is okay if your initial plan for the restoration needs some modifi­cations or even a complete rethink. While it may take some extra time to change course or line up some additional specialists to get the job done, the idea here is to take it in stride. Don’t get upset about the ini­tial easy plan that becomes a major job. Most importantly, don’t become discouraged, even if you feel you were misled about the condition of the car when you purchased it. With the availability of reproduction sheet metal and the power of the Internet to find just about any used part, most problems can be worked through. Keep your composure and your eye on the prize: a successful outcome. It’s Really a Parts Car Now What? Sell this GTO as a parts car. This works best if the car hasn’t been significantly dismantled. Buy another GTO and use your current car for parts. This can actually be your best plan, par­ticularly if the second car is in need of pieces that are still good on your donor car. Part it out and use the proceeds to purchase another GTO. This is a good option if the GTO is no longer a complete car but a huge pile of parts. Chances are you can make some money to find a better car and aid others in their proj­ects by going in this direction. Trying to restore a parts car is almost a rite of passage. Resisting the urge to restore a parts car is a sign of wisdom. One area that I cannot stress enough is the use of quality jackstands and related equipment. This is an area where cutting corners can literally kill you. Spend the money to get quality equipment because there is nothing worse than a tragic outcome. Also, proper ventilation is a must. While many cars are sprayed in a paint booth for professional results, some restorers paint their cars in their own shop. If you are going to be painting in your shop, be sure to have the proper masks and filtration. Some paints are ridiculously toxic, and even welding galvanized metal creates very dangerous fumes. Be sure to check with your paint manu­facturer for guidelines to the proper use of their products. Different types of paint require different precautions and procedures. Make sure you are doing every­thing the right way; nothing slows down a restoration like hospitaliza­tion and lengthy recovery times.